Special Note: Haily is also available in Rooted colors at a slightly higher price. See its separate listing under Haily Rooted. 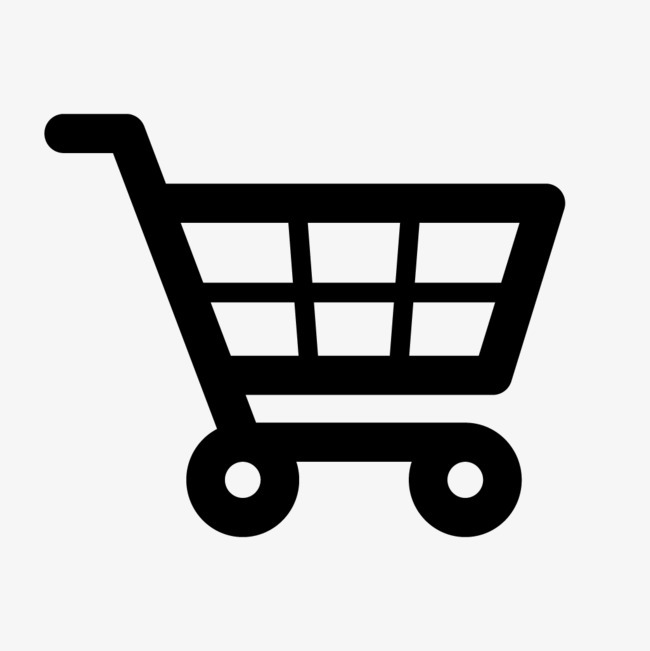 Availability: Free Shipping in the US - Haily arrives in about a week. 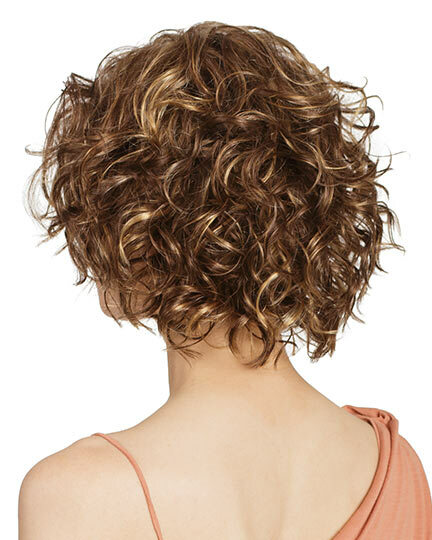 Bang: 5.0"-7.0", Nape: 3.0"-4.0", Sides: 5.0", Crown: 7.0"- 8.0", Overall: 12.0"
Haily by Tony of Beverly is a modern, punchy Bob with all over loose ringlets and side-swept bangs. 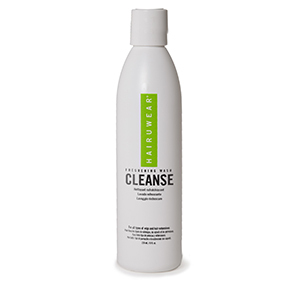 Haily Rooted is made with EluraBlend Fiber, an exclusive proprietary blend of Kanekalon modacrylic fibers. 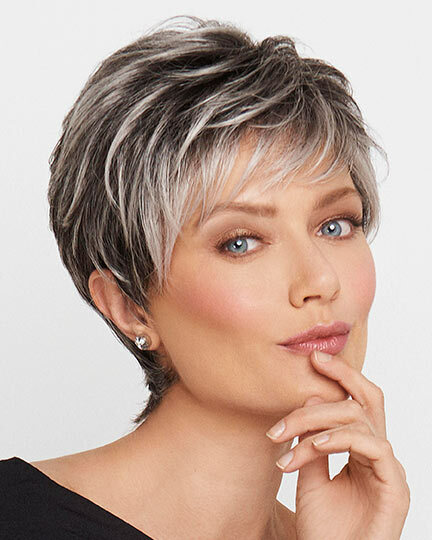 Tony of Beverly Haily wigs feature a ready-to-wear (RTW) lace front Heritage cap with ultimate fit construction .The lace front provides a natural hairline for styling the hair away from the face. 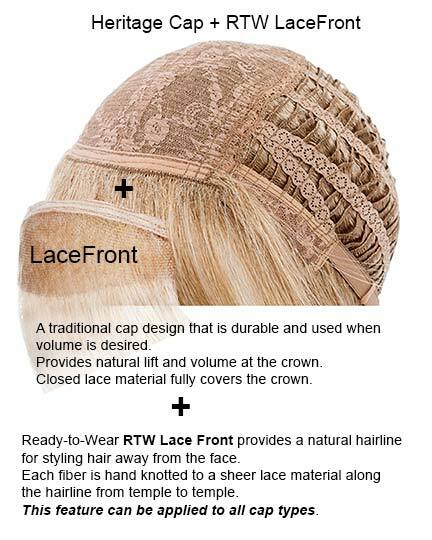 Each fiber is hand knotted to a sheer lace material along the hairline from one side of the temple to the other. 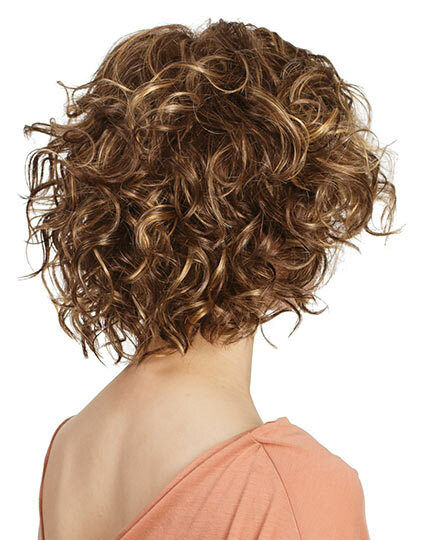 Haily is an easy shake-and-go style that provides all day wearing comfort in a breezy stylish look.. 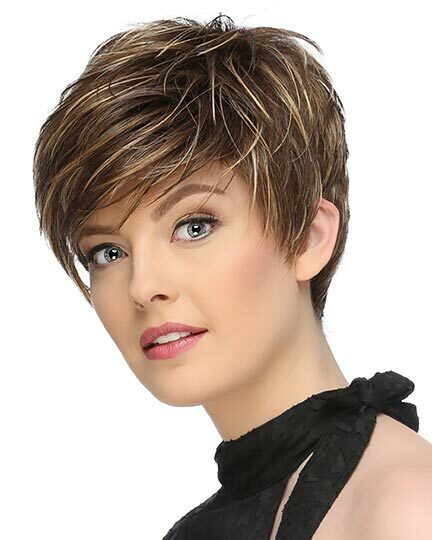 NOTE: The images of the wig on the model have been professionally styled. 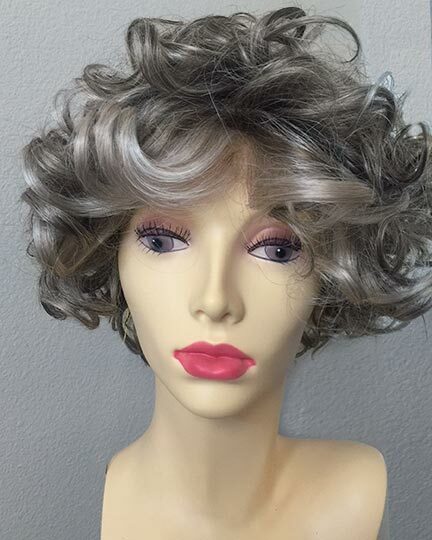 The wig on the mannequin in color Silverstone is right out of its box without any styling. 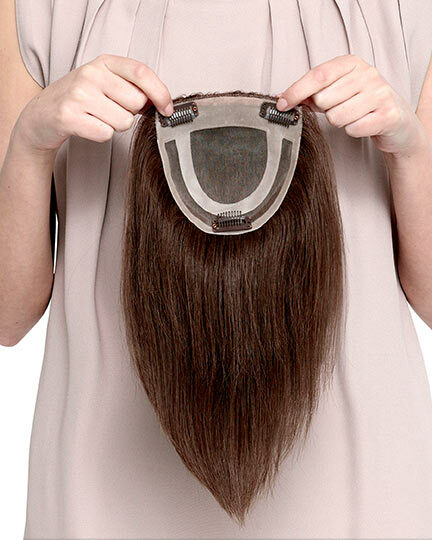 The Haily wig weighs 91 grams. There are 1 colors available for this SPECIAL PRICE on Haily. To Buy Haily, Click On A Small Swatch Below. If you would like to discover other products that share some of Haily's qualities try the links below. 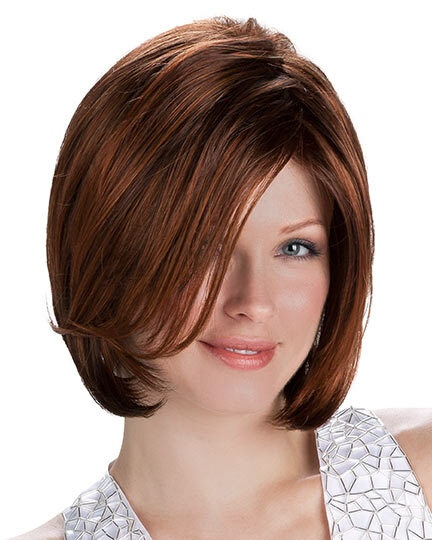 I needed a wig quickly and Elegant Wigs does a great job of getting wigs delivered quickly. 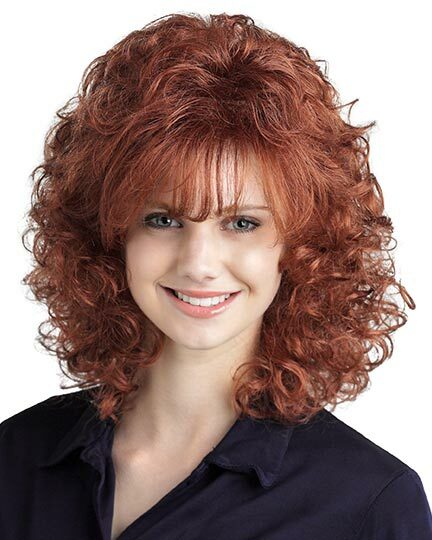 This is a nice wig. 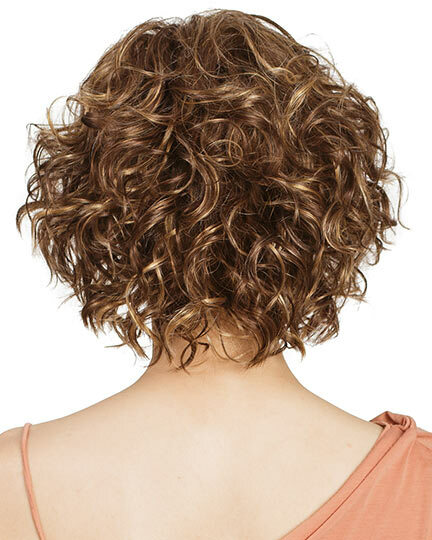 I like that it is fluffy and curly--like my real hair. I had a hard time choosing colors. I thought about the color wheel but, since I wanted to buy 2 wigs, each from a different company and I needed wigs in a hurry, I really couldn't afford to pay shipping for 2 wheels. So I've shipped the original back and am waiting for a new color. NOT a "Shake and Go" Wig by ANY Stretch of the Imagination! 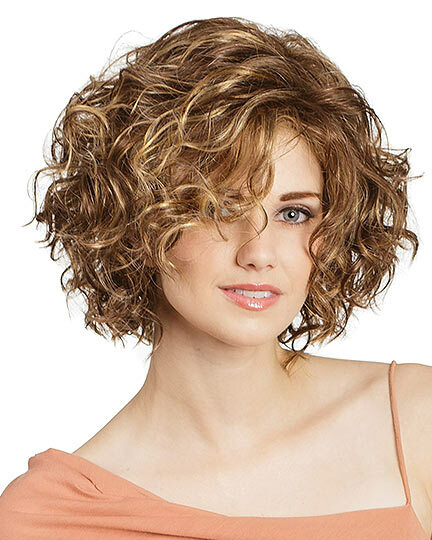 Definitely NOT a shake and go wig! It has no curl at all! 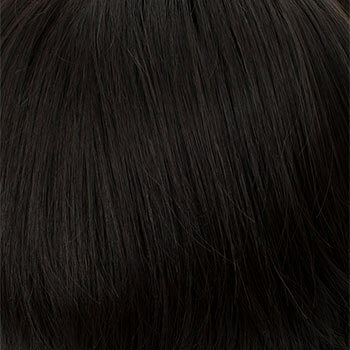 Elegant Wigs even contacted the manufacturer, who admited that it requires "product" to look like the photo, and E.W. told me that they thought that even that was "a stretch," so they gave me a full refund. 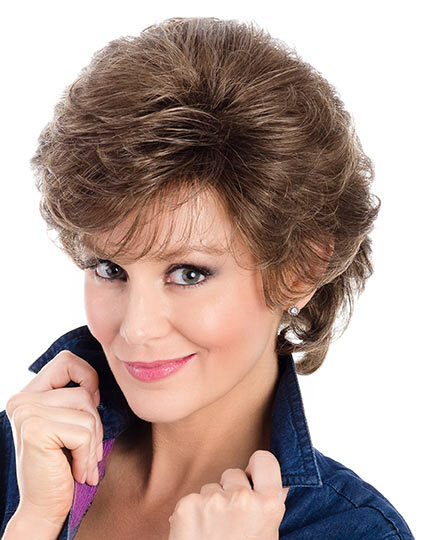 Bottom line - terrible wig, but Elegant Wigs is an EXCELLENT company. 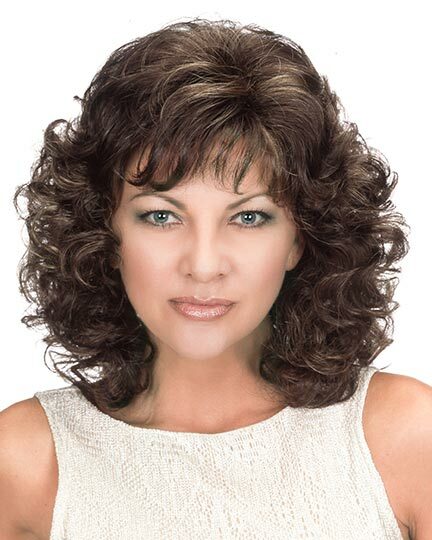 I am, therefore, giving this wig one star - but this is, in no way, a reflection on Elegant Wigs, who provided EXCELLENT SERVICE!